Acts 2:35-38 “Then Peter said to them, “Repent, and let every one of you be baptized in the name of Jesus Christ for the remission of sins; and you shall receive the gift of the Holy Spirit." Acts 19:4-6 “Paul said, ‘John’s baptism was a baptism of repentance. He told the people to believe in the one coming after him, that is, in Jesus.’ On hearing this, they were baptized in the name of the Lord Jesus. When Paul placed his hands on them, the Holy Spirit came on them, and they spoke in tongues and prophesied." Understanding the importance and necessity of water baptism. Understanding the importance and impact of the baptism of the Holy Spirit. 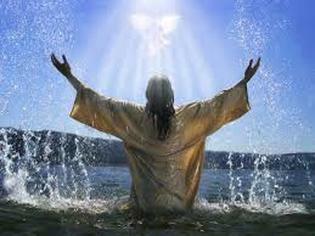 Bible verses about the baptism of the Holy Spirit. Realizing the freedom, joy & benefits in taking Communion. “Hearing God's voice” is the key to living a victorious and fruitful life for all Christians. A life of prayer empowers heaven to work in our behalf and empowers us to become what God created us to be. ​Copyright 2017 Carmen Puscas May be used for personal study or instruction but shall not be copied and/or distributed in whole or part without permission or for financial profit.